How Can I Find More Affordable Lace Wigs? "How Can I find more affordable lace wigs?" 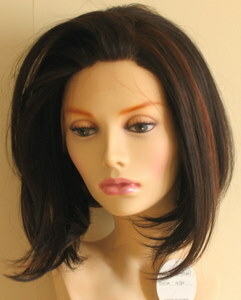 Finding more affordable lace wigs is really about being more flexible in the type of lace wig you buy. Using our TLC approach, here are a few (texture, length and colour) features that make lace wigs more affordable. 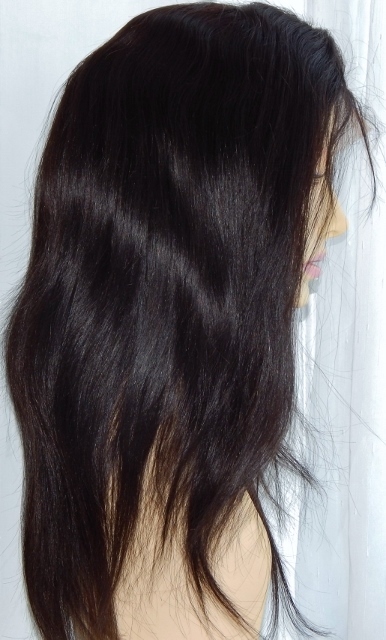 List straight textured wigs as naturally straight to indicate that it's not silky straight (meaning the hair has light waves). Chemically straighten the hair to make it silky straight (or texturize it further to make is Afro straight or Yaki straight). As the hair was already basically straight, this chemical process isn't particularly extensive. Anyway, back to textures... Where were we...? Ah, yes; as curly and wavy textures are usually created through chemical means - this processing is a cost to manufacturers and therefore a cost to retailers. The longer the hair higher the price; it really is as simple as that. A ten inch lace wig will cost significantly less than a 20 inch lace wig, but if you feel your face shape doesn't suit shorter length wigs, then a ten inch wig might not be a realistic option. The way to find the most affordable prices in terms of length is to be length-flexible (yes this is a completely made up term, but read on and all will make sense). If you can determine minimum length that would complement your face shape then choose that length; so if the hair has to reach below the chin then [usually] a 14 inch lace wig will do the trick. Yep, it's pretty obvious and a pretty annoying at times, but the mainstay colours are usually the lowest priced. The vast majority of human hair on the market is somewhere between natural black (not necessarily jet black) and dark brown (yes we know that hair sourced from Russia and other European countries is lighter, but we said the majority of human hair, not the minority). Manufacturers dye wigs on a large scale but there's still an added cost to the production process. If you are a DIY hair dyer, then it may be more affordable to buy a naturally darker coloured lace wig and then dye it yourself. included bleached knots as selling point. Things have shifted slightly for a number of reasons and bleached knots can actually be an added feature as opposed to a standard one - and as anyone who's anyone knows; added features equate to added cost. Whilst we're on the subject, it's worth mentioning that bleached knots increase the rate of shedding (you can use all the lock sealer you like) as bleach causes the hair to deteriorate which means it sheds more quickly and that's a fact, not a factoid. Hmm... So just what should I do if I choose a lace wig without bleached knots? Well you can use a fabric marker on the areas of the lace that are exposed, or you can use a regular concealer on partings or to blend the hairline with your skin. That's a wrap on the TLC features that can help you find more affordable lace wigs but the affordability features don't stop there, you can check out the article about cap constructions, remy hair and synthetic options that can also help make lace wigs more affordable.